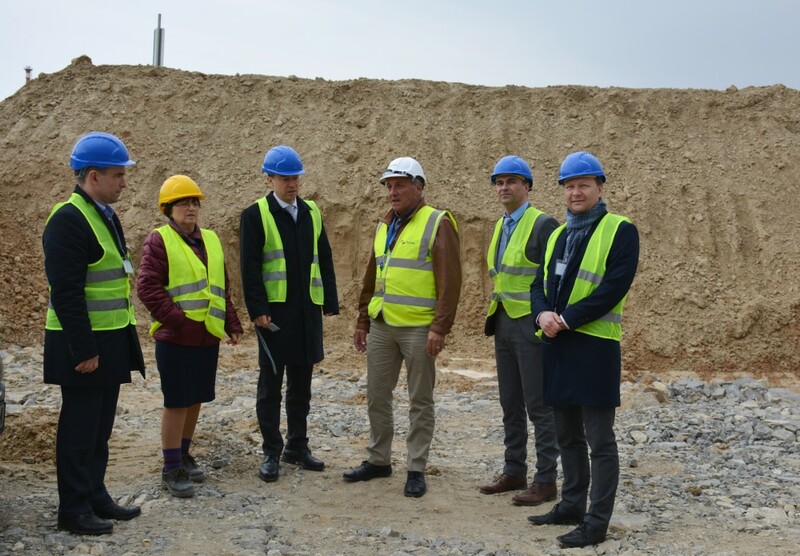 On 26th March 2019, representatives of the European Commission (EC) and the European Bank for Reconstruction and Development (EBRD) visited the facilities of the State Enterprise Radioactive Waste (SERAW) at the Kozloduy site. 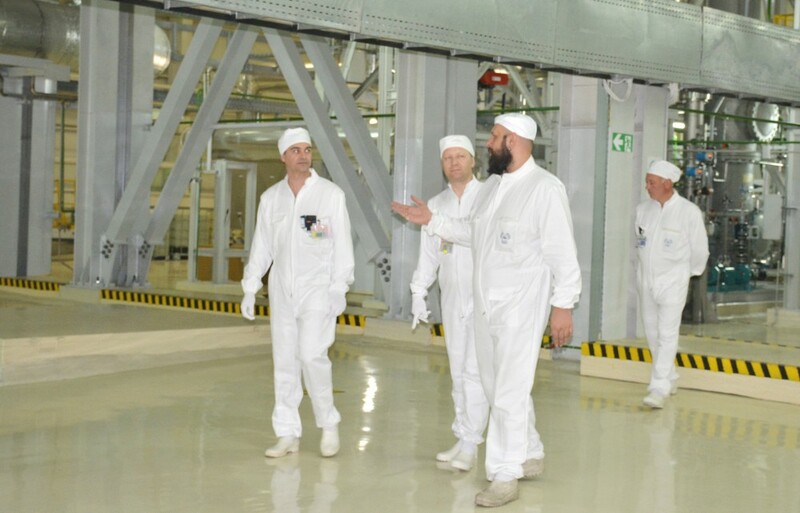 The visit was part of the programme of the regular Monitoring Committee for the decommissioning activities of the shutdown Units 1-4 of Kozloduy NPP, which are performed by SERAW. The Monitoring Committee is held every six months and aims at identifying the actual progress of decommissioning activities and projects, which are funded by Grants from the Kozloduy International Decommissioning Support Fund (KIDSF). The KIDSF has 12 contributors, the largest being the European Community. 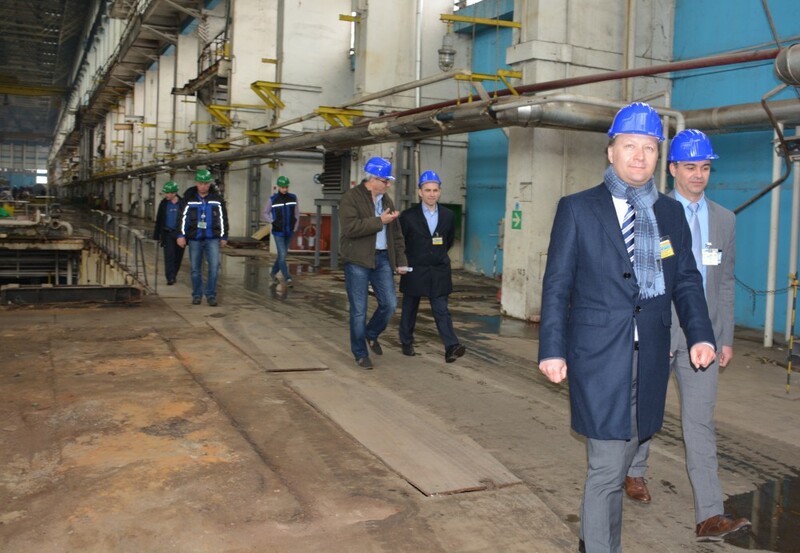 Robert Kunde and Bert Leemans from the Directorate-General for Energy of the European Commission, Stefan Sapundzhiev, Internal Auditor of the European Commission, and Valentin Seider from EBRD, visited the Turbine Hall of Units 1-4, the Control Room of the Size Reduction and Decontamination Workshop, the Plasma Melting Facility, and the construction site of the National Disposal Facility for Low- and Intermediate-Level RAW. The above Representatives of the European institutions were briefed in detail concerning the most essential accomplishments in the decommissioning process during the reported period for the second half of 2018. Among the highlights of the review was the obvious progress of the dismantling operations in the Turbine Hall which will be completed in August this year. In addition, a presentation was made on the implementation of the planned activities related to the free release from regulatory control, taking into account the regulatory requirements for participation in the process of several organisations – an accredited Control Body or an accredited testing laboratory and the Bulgarian Nuclear Regulatory Agency (BNRA). Among the main topics discussed by the Monitoring Committee was the start of the first operational campaign of the Plasma Melting Facility, in accordance with the Commissioning Programme, and in compliance with the Commissioning permit issued on 17.08.2018 by NRA. The participants in the meeting also noted the progress made in the co-operation between SERAW and JAVYS (decommissioning operator at the Slovak Bohunice NPP) in connection with the implementation of the pilot project for Primary circuit decontamination, the verification stage of which, to confirm the implementation of the technology used in Bochumice V1 NPP and its applicability at Kozloduy Site, will start at the beginning of April this year.